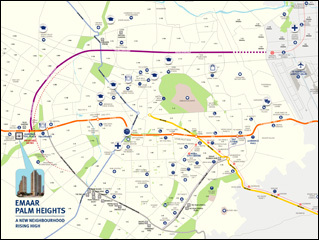 Emaar Palm Heights by Emaar India at Emaar Palm Hills Sector 77 Gurgaon. Emaar Palm Heights, High-Rise twin towers, all 3BHK airconditioned Apartments loaded with Modular Kitchen and much more, along with 39000 Sq.Ft. of sports and club facility. 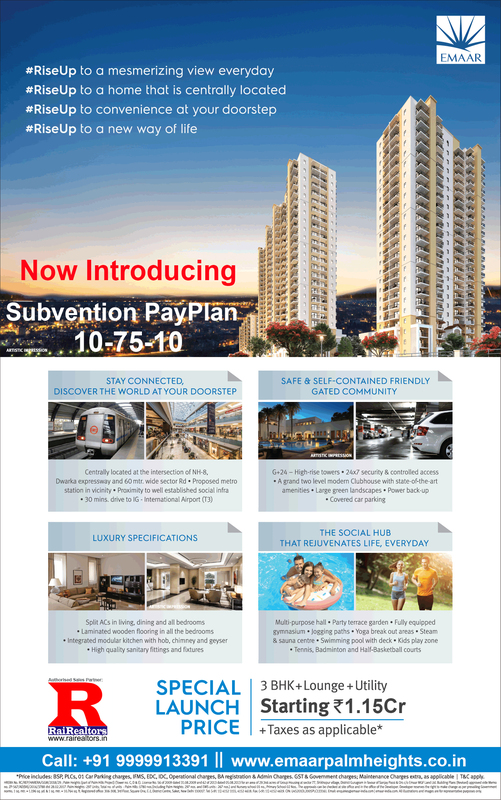 Now offering No-EMI Subvention Scheme with 10-75-10 Payment Plan. Now book/buy with only 10% of COP and pay nothing till intimation of offer of possession. 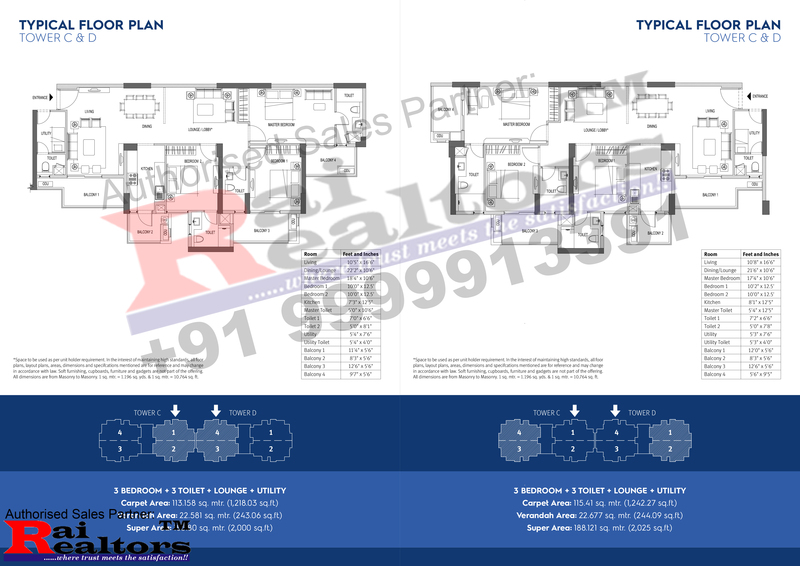 3BHK 3Toilet with Lounge and Utility which has two unit layouts 185.80 SqMtr (Super Area 2000 SqFt.) and 188.12 Sq.Mtr. 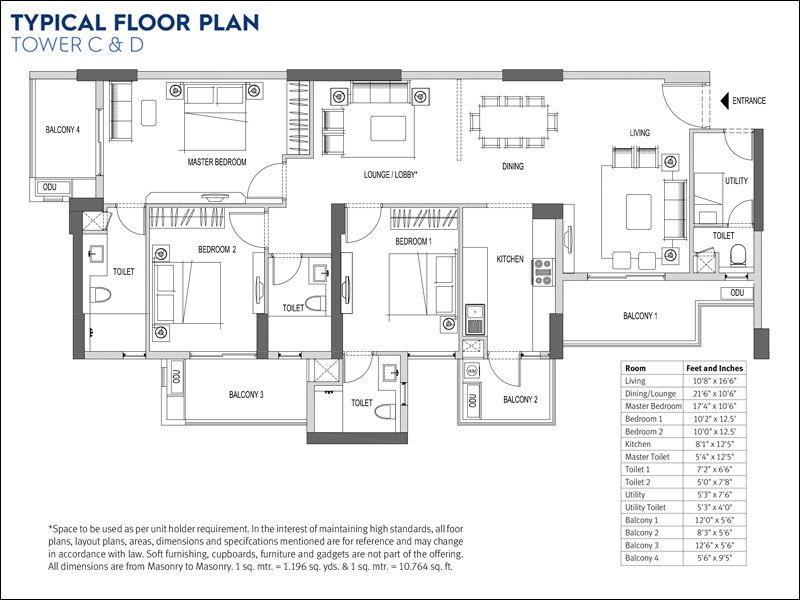 (Super Area 2025 SqFt.) 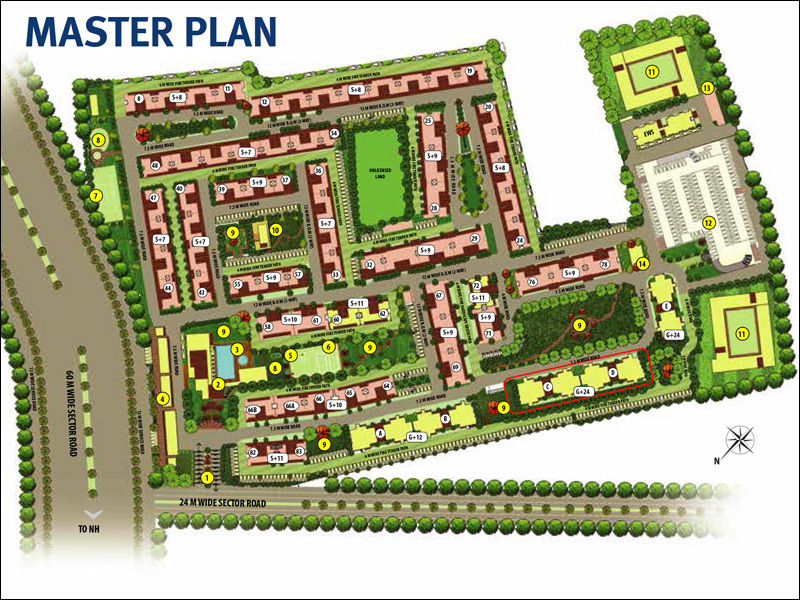 starting at an exclusive and all-inclusive price of 1.15Cr (Limited period offer). 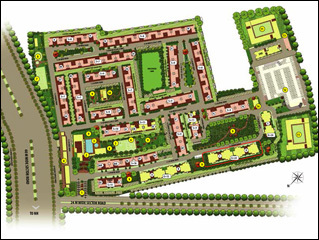 Limited period Subvention Scheme and possession linked payment plan. Exclusive pricing and offers ending 27th January 2019. Key points for Emaar Palm Heights are as this, Multi- Facility Grand Clubhouse, Fully Equipped Gym, Steam and Sauna Rooms, Creche, Play Room, Kids Pool, Part Terrace Garden, Category defining L Shaped Swimming Pool, Large Central Garden’s, Covered Car Parking Usage, Play Courts (Tennis, Badminton and Basket Ball), High Grade Finished Tower Lobby. 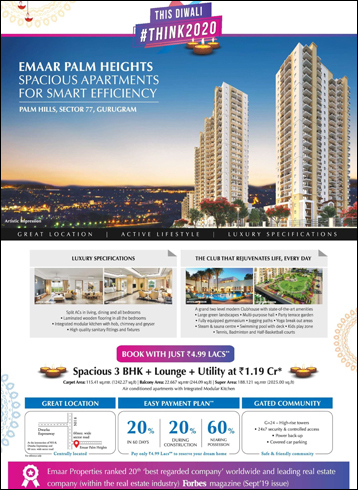 "LUXURIOUS FEATURES" 5 Split Air Conditioners, Integrated Modular Kitchen with Chimney, Hob and Kitchen Geyser, Vitrified Tiled Flooring with Marble Finish, Laminated Wooden Flooring In all Bedrooms, Shower Cubicle in Master Bathroom, Premium CP and Sanitary Fittings, Power Back Up, Modular Switches to bring all modern day comfort in your busy lives. Yes!! 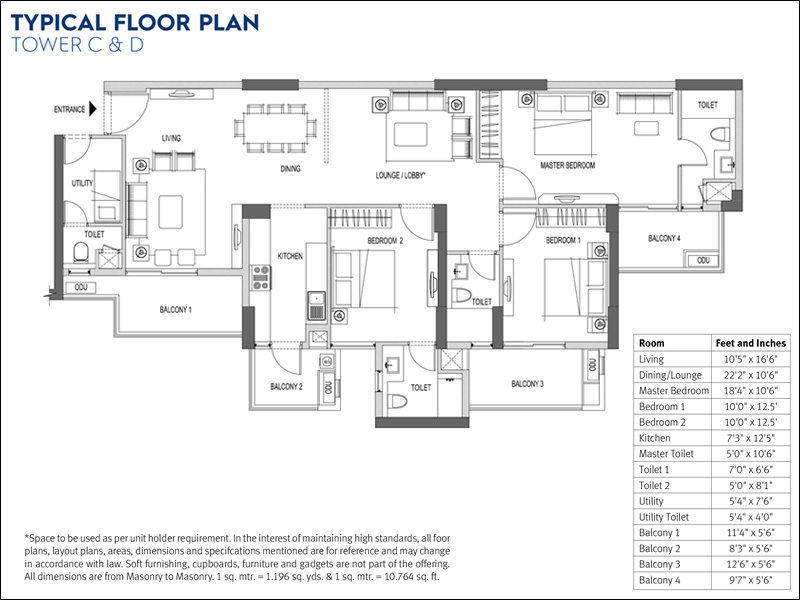 I am interested in Emaar Palm Heights, Please contact me with more details.